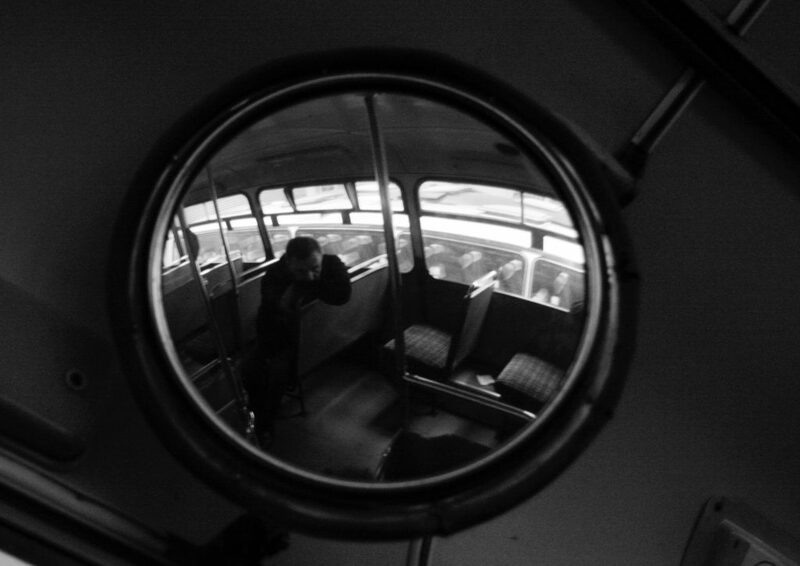 Our concept single “Two songs about buses” was released on 29/3/18, and it’s inspired by Chris Terrill’s 1992 documentary “Seeing Red”. Here are some words Seb wrote to go with it. These two songs are not about buses. They are about people. People like Lofty Watson, Eastman Barrett and John Cronin. 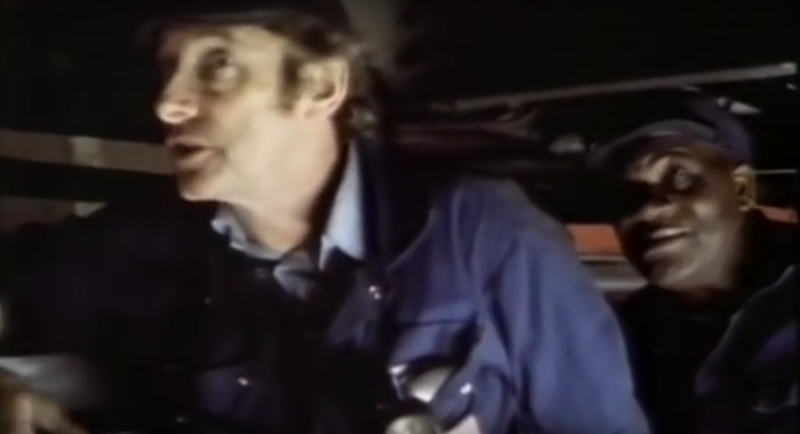 In March 1992, BBC documentary cameras appeared at CentreWest’s Westbourne Park Garage. Snaking under the arches of the Westway, squeezed between the Grand Union Canal and the approach to Paddington station, this London Buses depot was home to long established services like the 7, 15 and 31. Day in, day out, they’d traced their paths across the city, along routes more or less unchanged since the start of the 20th century. In March 1992, all of that looked set to change. 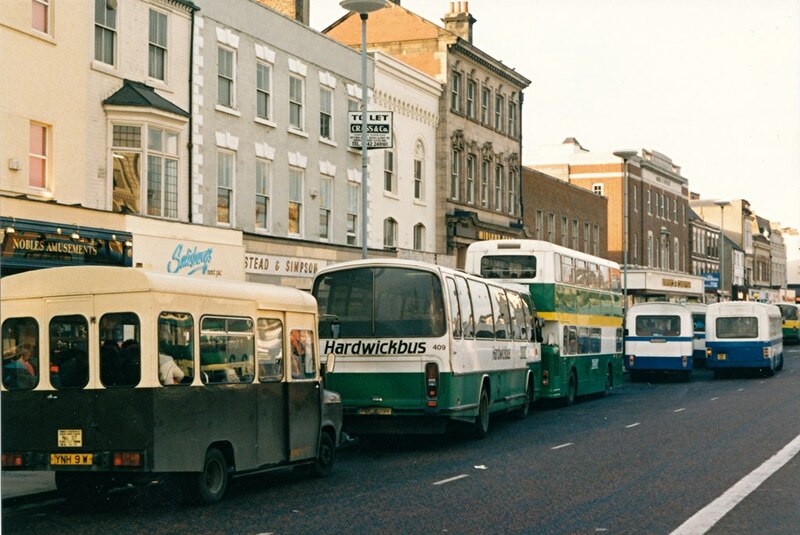 Outside of the capital, the 1985 Transport Act had broken up and sold off the publicly owned National Bus Company in chunks, while at the same time, road service licensing had been abolished. Previously, routes and their operators had been regulated, but now, more or less anyone could apply to run a bus service – and more or less anyone did. Newly privatised double deckers found themselves skirmishing in the streets with secondhand coaches and converted bread vans. Profitable routes were now a battleground for customers, with extra buses laid on at peak times to leapfrog their rivals and poach their passengers. Off peak, routes had their early morning and evening services cut, while unprofitable routes were axed altogether, leaving their former passengers stranded. Deregulating London’s huge network presented too big a challenge for the Conservative government of the time. For those in Westminster, it was all a little too close to home, should things go wrong. For the time being, the capital would escape deregulation, though London Transport would begin to put its routes out to tender, and private operators would now bid to run them. 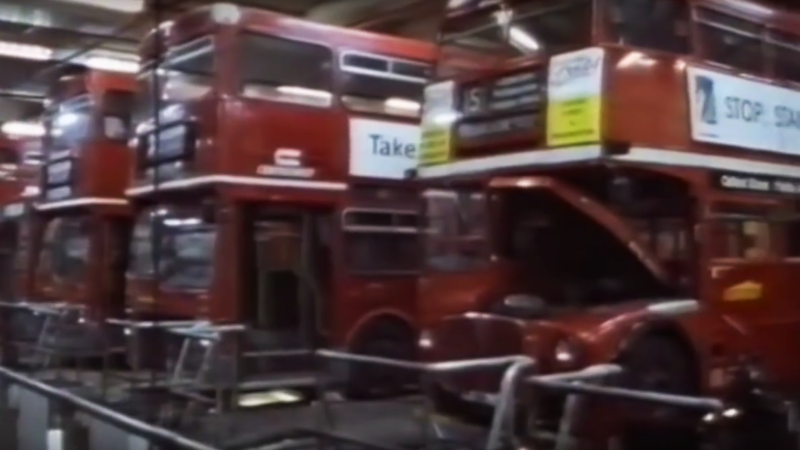 London Transport’s own buses and workers were handed to an arms-length company, London Buses Ltd, and carved into 12 business units – including CentreWest – ready for a future sell-off. 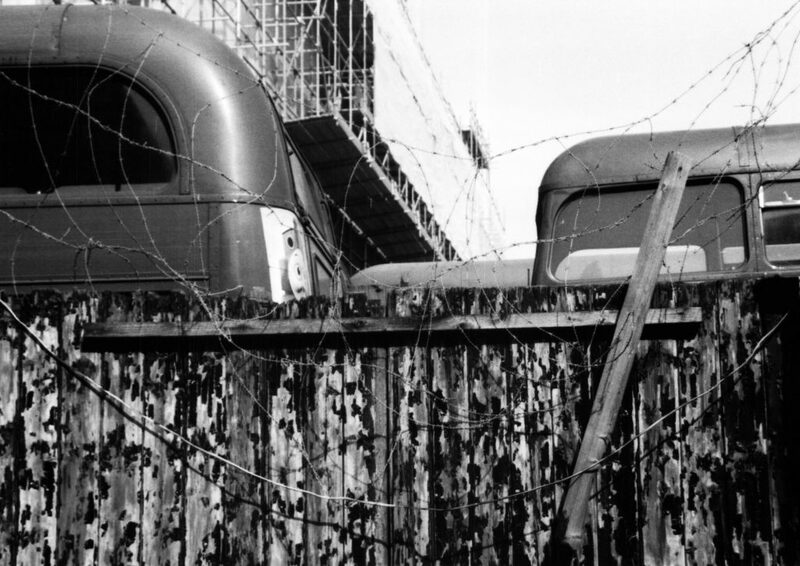 When the BBC’s cameras arrived at Westbourne Park, the mood at the depot was ominous. Although CentreWest was still publicly owned, competitive tendering had already started to show its effects. 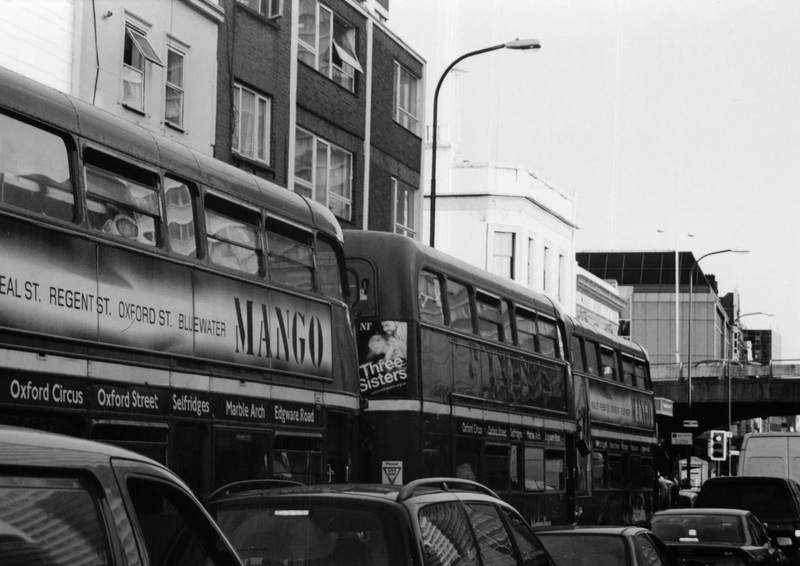 Route 31, whose scarlet double deckers had run between Camden Town and Chelsea for over eighty years, had seen traditional Routemaster buses swapped for 28 seater midibuses. Drivers had found their wages similarly downsized- receiving £1.30 an hour less for driving the smaller vehicles. While shop stewards and management at Westbourne Park clashed over wage cuts and increased hours, both sides were haunted by the knowledge of what could happen when new commercial pressures collided with the established order. Across town, another business unit, London Forest, had recently won their bid to run routes across Walthamstow. As tenders were awarded to the lowest bidder, they were relying on reduced wages and longer hours to balance the books. When the workers learned that the losing bidder had planned to pay higher wages, they realised that they had little to lose by fighting. If they won, London Forest would have to improve their offer; if they stayed out on strike, London Forest would lose their tender to the runner up. After a two week strike, with no buses on the road and public support for the strikers running high, London Forest’s low-cost business strategy was tatters. Its routes and staff were transferred to other operators, and the unit was wound up. 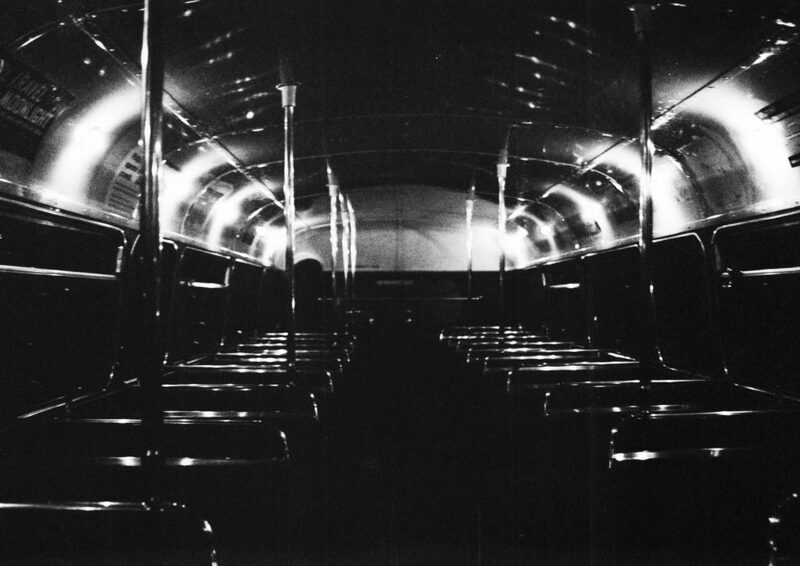 The workers had shown that if London Buses Ltd wanted a race to the bottom, it might destroy itself in the process. But while it may have been a moral victory, both sides had lost something along the way. With no routes or drivers, the £3.5m Ash Grove depot, barely ten years old, was emptied and closed down. The workers may have beaten pay cuts of up to 20%, but their new contracts meant that they were still worse off than before. And while the union had promised that every worker’s job would be safe, the loss of many routes to garages on the other side of the city meant that many had no choice but to accept voluntary redundancy, and look for jobs closer to home. The shock announcement of the 1992 General Election brought the spectre of deregulation in the capital back to life. “Yes we will be deregulating the buses” announced Conservative minister Michael Portillo; “we brought tremendous benefits outside London… we believe that competition can improve service to the customer”. For the staff at Westbourne Park, this renewed threat added more worry to an already uncertain future. While they were busy fighting CentreWest’s attempts to squeeze pay and conditions, deregulation might see London Buses and CentreWest cease to exist altogether, together with their jobs and the garage itself. Late on the nightshift, engineer Lofty Watson was contemplative as he prepared the buses for the next morning’s service. “This garage”, continued Lofty, “apparently – we’ve been told – the governors are waiting for the election. Now if one party gets in, the changes are on! If the other party gets in, they’re off. So, you know… it depends what your interests are, which way you want it to go”. “If the Tories get in… anyone can walk in here, and say to us: “We want to run that route”. While most at Westbourne Park were worrying about the future of the garage, one driver was worrying about his immediate future. John Cronin had committed the bus driver’s cardinal sin; he had broken Rule 23: he had run early. Bus inspectors prefer buses to run on time; but sometimes they run late. In a busy city like London, this is inevitable; heavy traffic, roadworks and breakdowns can all lead to buses running behind schedule. When this happens, the late running bus is stopped short, turned around, and sent back in the other direction at the appropriate time. But there is never any excuse for running early. A bus driver’s duty sheet has timing points along the route, and if the bus arrives at a timing point before it’s supposed to, it’s meant to wait there until it’s due to leave. Otherwise it’s likely to catch up with the bus in front, and gaps appear in the service. This is why proverbially, you wait ages and then two come along at once. Some drivers don’t particularly like stopping and starting to pick up passengers at every stop; it’s just too much hard work. Their favourite trick is to leave ahead of schedule, and tag along just behind the previous bus- they call this ‘scratching’. The bus in front picks up all the passengers, leaving the stops empty when they arrive. Then, with a bit of luck, the scratcher will have no one to pick up, no one to set down, and a nice easy cruise all the way to the terminus. Some drivers see it as a badge of honour to complete a journey with little or no passengers on board, while their colleagues struggle with a full load. When the cameras joined John Cronin, he’d been caught running twenty minutes early, a day after receiving his final written warning for the same offence. At the Aldwych bus stand, a group of fellow drivers grilled him. “You’d be out on your earhole mate, if we was the governor!”. In the canteen, John was bullish; handing sponsorship money to colleagues he might not see again. “So what are you going to be; sacked by half eleven?”. The garage manager admonished John like an errant schoolboy. Why did he not take more care over his appearance? Where was his tie? Why did he not have more self respect? Why must he rush about all the time, inconveniencing his customers, sometimes seriously? The manager took no pleasure in putting people out of work, but he would do, if he had to. However for John, there would be one last chance. Twelve months special probation. This really was a final warning. Any more early running and he’d be out of a job. But there would be no more early running. The next day, and the next, and for the following weeks, John Cronin would not arrive for work. John Cronin was unwell. As the dawn light of the 9th April crept through the blinds of the canteen and the shutters of the engineering bay, the radio news bulletins delivered a shock. The Tories, who’d been trailing in the polls for the past few weeks, had won not only an overall majority in the commons, but had won the popular vote as well. Labour, who had been predicted to win by a slim majority, or at least lead a coalition government, had been trounced.